Michael Herbstritt looks at the evolving design of actuators and describes how its modular actuation technology has been adopted by a leading manifold manufacturer. Today's ergonomically styled actuators are designed to combine ease-of-use with efficient valve control. With the introduction of modular solutions, the application of actuation technology in the oil and gas industries has been extended as components dove-tail together and complete system adaptability has been achieved. Based on the modular concept, AUMA's actuation technology has continued to evolve to respond to the oil and gas industries' requirements with specialist products, such as explosion proof solutions. Specifically designed for use in hazardous areas, these actuators offer a compact solution that is also robust and reliable for potentially explosive atmospheres. The option of flameproof enclosure protection ensures that burning particles or flames cannot reach the outside elements. An example of a scheme where explosion proof technology has played a key role is at the tank farm at the Bío Bío refinery in South America. The Bío Bío is a river and a region in Chile that is fully dependent on super tankers that deliver crude oil and gas which is stored at the coast. 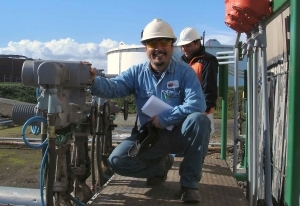 In a contract awarded by Empresa Nacional del Petroleo, one of South America's largest energy suppliers, AUMA installed an actuation solution to automate 220 tank farm valves that had previously been manually operated. Explosion protection for the actuators was required and this need was fulfilled by AUMA products backed by the required certification. The company also took responsibility for adapting mechanical valves plus sizing, supplying, mounting and commissioning actuators. High corrosion protection products have also been developed by AUMA and these have been supplied to the ENSCO8500 semi-submersible offshore rig. The ENSCO8500 series deepwater semi-submersibles are based on an ENSCO proprietary design and include a two million pound quad derrick, offline pipe handling capability and 150-man living quarters. These 8500 series rigs are capable of drilling in up to 8500feet of water. The exacting requirements for the rig built by Keppel FEL Singapore were met and AUMA has supplied 32 of its part-turn SG 05.1 actuators. Each of the rig's four main supporting pillars has eight thruster units/hydraulic skid units and for each, an AUMA SG 05.1 actuator hydraulically controls the rig position. Main features of the AUMA product supplied are robust design; self-locking functionality with high mechanical efficiency and corrosion-proof housing/external parts. Design initiatives have also been made by AUMA for gearboxes and the GS630.3 part-turn gearbox has been developed. The new product provides 675000Nm which is virtually double the capability of AUMA's existing high torque gearbox solution, the GS500. Understood to be the highest production unit on the market, the new AUMA gearbox incorporates all the benefits of the company's existing gearbox range, namely high end-stop strength and adjustable swing angle of 80°-100° or multi-turn operation without end stops. The GS630.3 addresses the challenges of increasing pressure on energy supply networks and the plant manager's need to reduce operational costs. 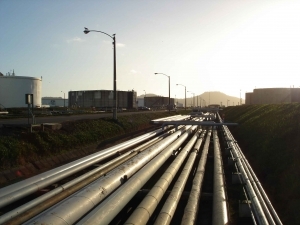 To satisfy these demands, supply plants and pipelines are operating at ever higher pressures with larger pipe diameters. This, in turn, means increasingly high torques are required to operate the butterfly and ball valves used in these applications. AUMA recognises the importance of supporting industry sector specialists. One example of such a relationship is with Framo and AUMA's actuation technology has been incorporated into a Framo Multiport Selector Manifold (MSM). The product has been adopted in offshore projects at the CNOOC Bohai Bay in China and with ONGC in India. The new combined production and test manifold has also been selected by PDO Oman for use in desert environments. Designed to reduce the size of the test and production manifold, the MSM features a number of integral inlets which simplifies control requirements. Rotating flow path capabilities enables production testing of individual wells with a minimum number of valves. A key feature is unique enclosure protection afforded by the actuators - with all components contained in one housing, the technology is capable of withstanding extreme environmental conditions. 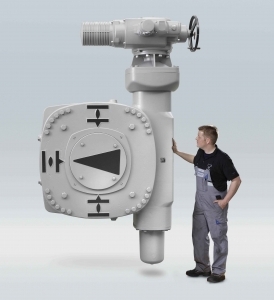 With a dedicated R&D facility at its manufacturing facility in Muellheim, AUMA confirms that actuation solutions will continue to evolve both as generic solutions and in partnership with industry specialists, such as Framo, a leading manufacturer and supplier of submerged pumps for the world tanker and offshore markets. AUMA also has established a world-wide network of subsidiaries and representatives. 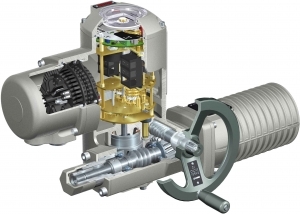 As actuation technology innovators, AUMA will continue to address the specific needs of the oil and gas industries.